While in list view (with rows of comics), you also see columns. You can choose which columns you wish to see, based on which information you find most important per comic. Maybe you want to make sure you always have your Location column in view: in that case, choose “Location” as one of your columns. 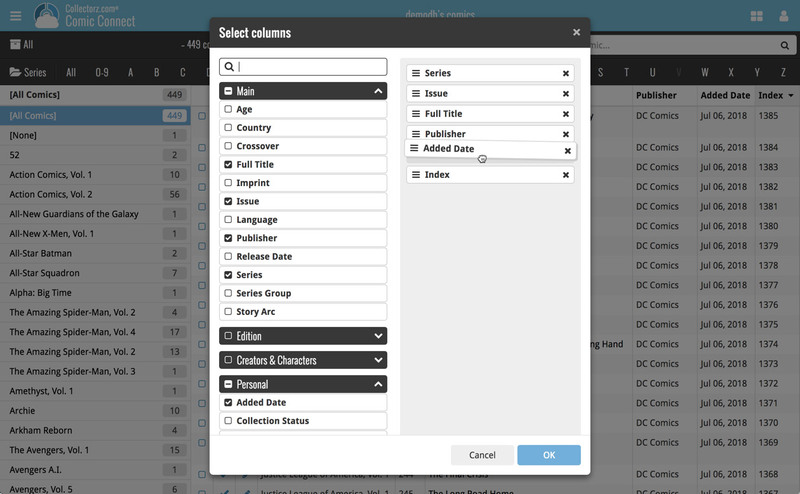 You can also choose in which order the columns should show.